At the FB Kite, there is ample room for good ideas between wings and tail. The nightmare of struts went finally well. Now to the slightly simpler bits and pieces. 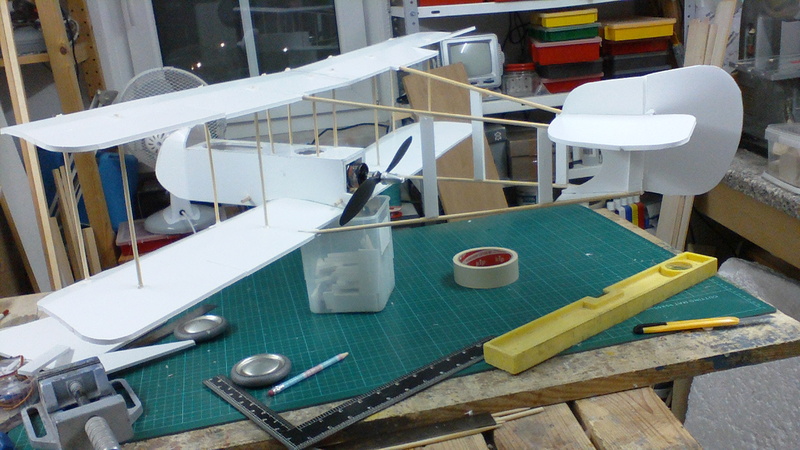 I was fixing a broken Carbon/Balsa wing for a friend, but now my workbench is clear again. 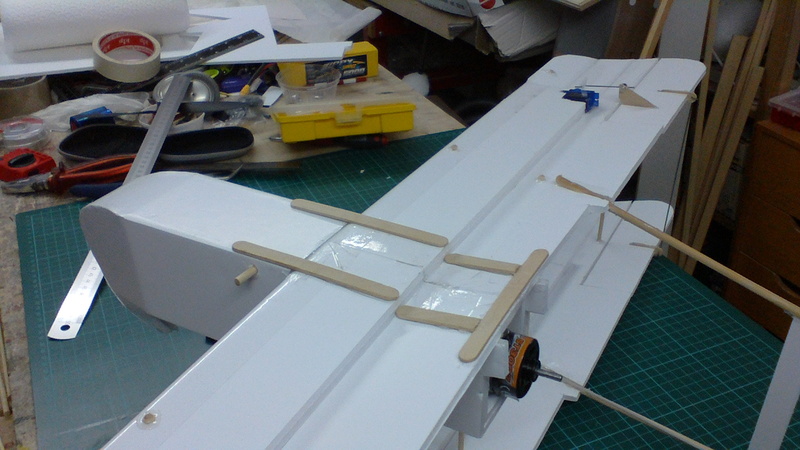 All rudder connections are done. Still turtledeck and landing gear to do and I'm ready to go. 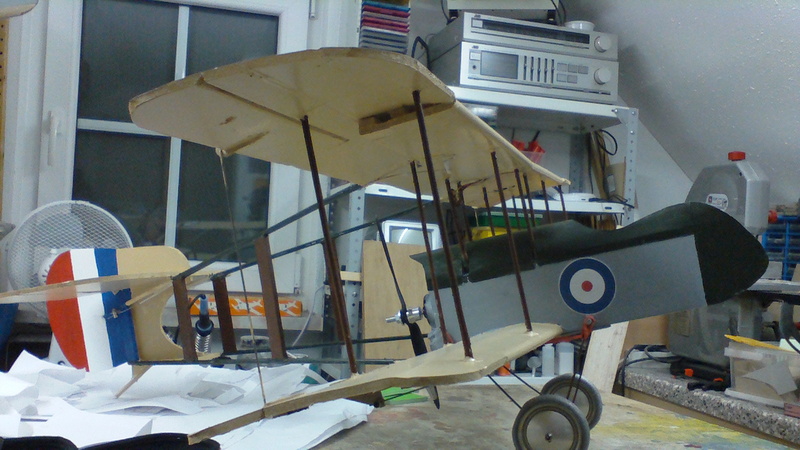 Depending of spare time, I could do 3 planes from 1916 next year and so on. Just on paper, but I will start drawing soon. Sadly I had to add some weight to the front, it's now 850 gr. Digging this thread a lot. Can you send me the link? I have no clue where to look after. Maiden flight FB Kite done. It was a little bit too windy to be comfortable, but I did it and it was successful. This plane is definitely nothing for the Beginner. 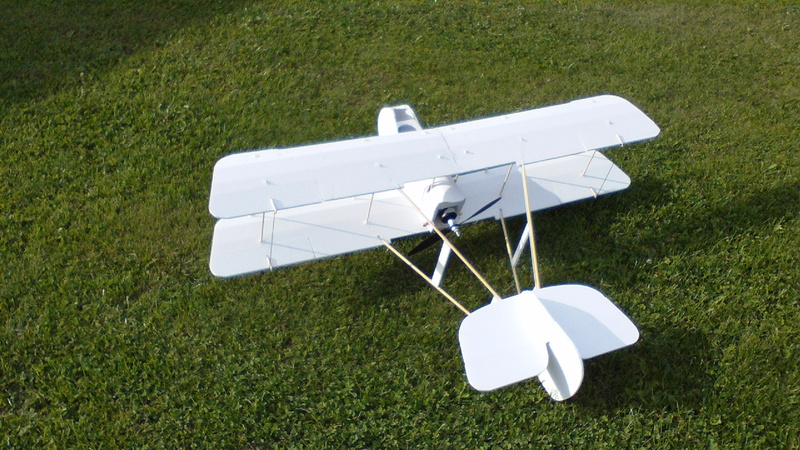 There are no dangerous habits, but away from straight and level this plane likes to overact. 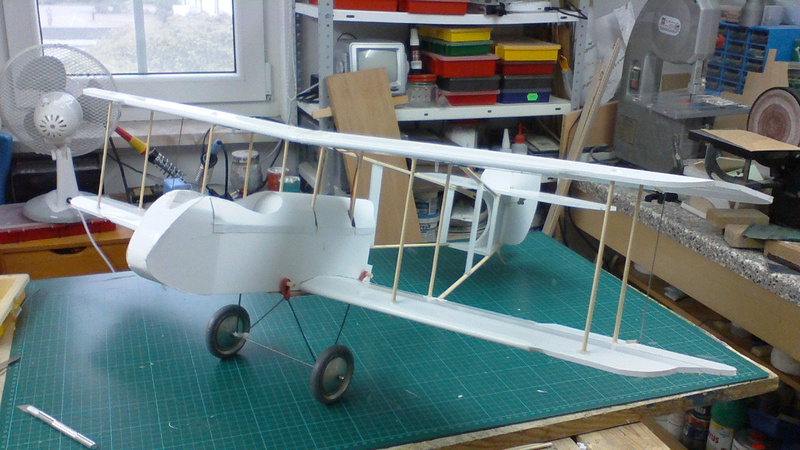 Trim was okay, just a little right aileron and a little down elevator was needed. Landing is a challenge, with the prop turning slowly the plane tends to yaw. ha! i was just about to plan out an R.E.8! 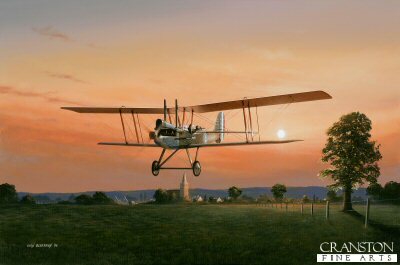 might see if i cant get a little air corps force together! FB Kite ist looking better now. Some minor touches and the first Early Aces Pack is complete. What a bunch of plans to draw!